Chinese wooden carving of Kwan Yin, the goddess of mercy, riding a dragon. The Kwan Yin is holding a wish granting pearl and a ruyi scepter; both represent the powers of Kwan Yin who is thought to grant wishes and aid sentient beings. 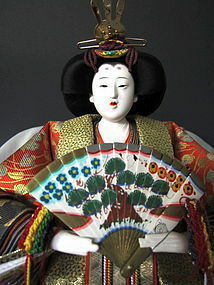 Kwan Yin is made of Longan wood Age: 20th century. 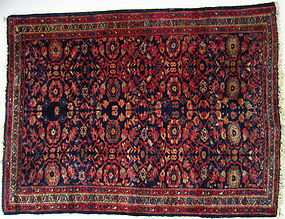 Size: Height 25.5" Width 6.3" Length 8.5"
Antique middle eastern silk rug with scrolling floral design on a dark blue ground. late 19th early 20th century. It measures 44" by 56". 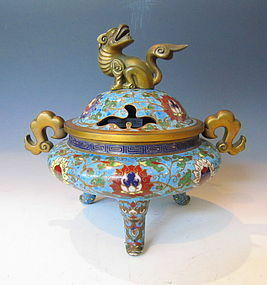 Beautiful Chinese cloisonné tripod censor decorated with motifs of lotus, clouds, scrolling vines, chrysanthemums, with a gilt bronze fu dog on the top cover, stylized cloud handles on sides, gold gilt over bronze. Age: 18/19th century. 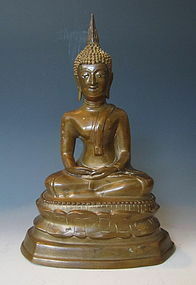 Size: Height 9.75" Diameter 9.25"
A simple vintage Thai sitting Buddha statue often seen from the Sukothai period onwards. The statue is casted and the eys are inlaid with metal. 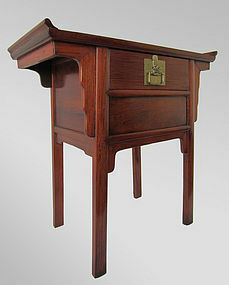 The simple, undecorated style visually expresses the Buddhist ideals. Age: 20th century Size: Height 10.25" Width: 4.25" Length 6.5"
A superb Ming Dynasty style table.Made of hongmu hardwood and possibly some parts of huanghuali wood. Brass hardware is used for the table. Age: Republic Period (1912-1940). 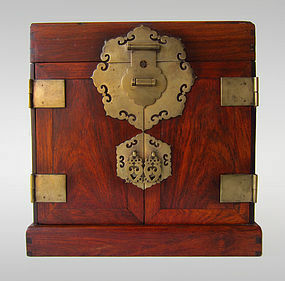 Size: Height 32" Width 15.75" Length 31.6"
Radiant antique Chinese document box, made of huanghuali hard wood with gorgeous grain, hinged top lid opens to shallow compartment with removable tray, two doors open to reveal 4 small drawers, beautiful details throughout. 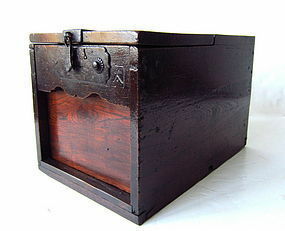 The outside is adorned with thick bronze fixtures and side handles. 19th century. Size: 14" high x 13.5" wide x 10.25" deep. 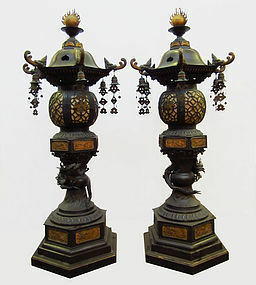 Rare large pair of beautiful original Japanese bronze temple lanterns with gilt highlights. 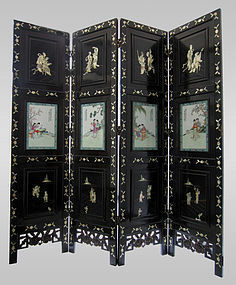 A Sasarindo crest on the section where the light would be placed; the Sasarindo is the bamboo leaves and gentian flowers crest of the Minamoto clan.